It is time for a new challenge at A Blog Named Hero. This is a Clean and Simple Challenge. I have used products from both Hero Arts and this month’s collaborative partner Wplus9. 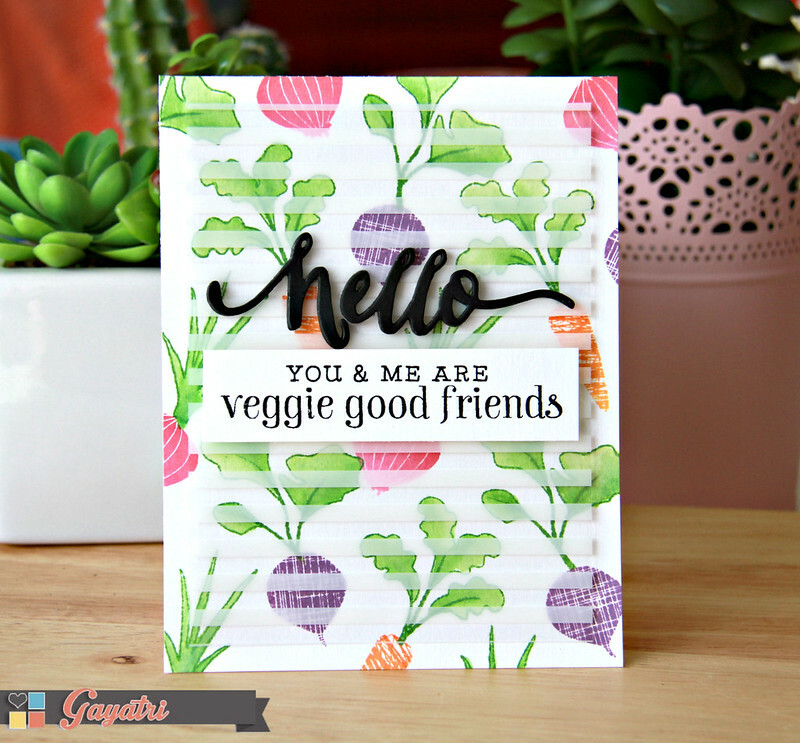 For the background, I have used Stamp Your Own Salad stamp set from Hero Arts. For the leaves of the carrots, beetroots and onions, I stamped with Mowed Lawn distress ink and then watercoloured using waterbrush. For the roots itself, I have used Hero Arts Ombre inks Pink and Orange and Cockleshell dye ink from Wplus9. I then added a smaller panel of white striped acetate paper from We’re Memory Keepers. 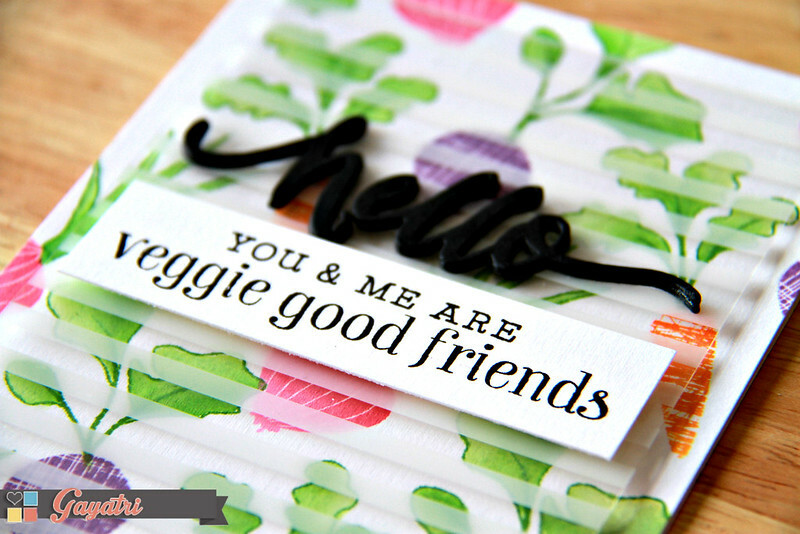 The Hello die is from Wplus9 which I die cut a few out of black cardstock and stacked glued them to get dimension. The sentiment is from Stamp Your Own Salad stamp set which is stamped on a strip of white cardstock and adhered using foam. There is a lot of white space and dimensions yet, this is a clean and simple card. Head over to A Blog Named Hero blog for more DT inspiration. 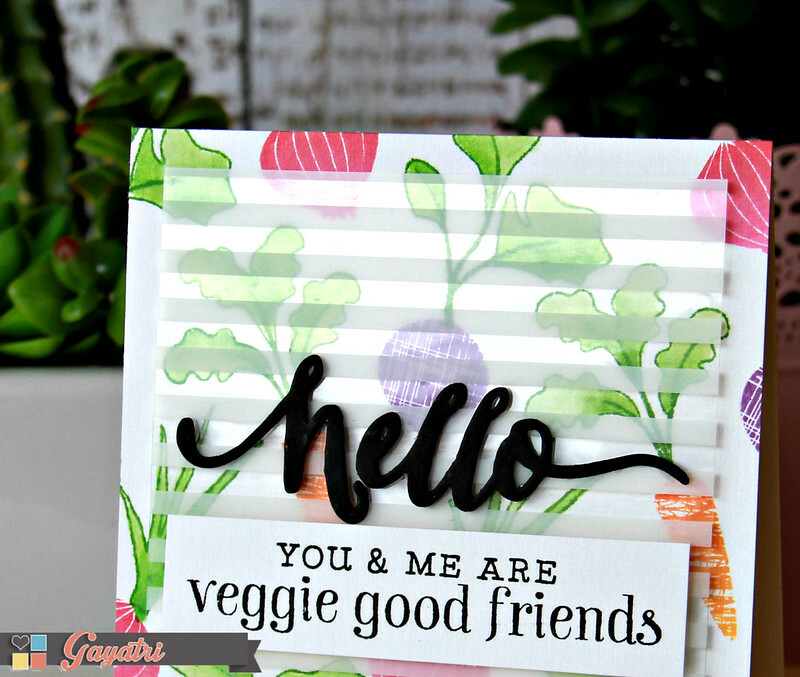 Is there any way you can let Hero Arts know that the grammar is so wrong on this sentiment…The correct grammar is “You and I are veggie good friends”. Unless, of course, the grammar mistake was intentional. I hope not.